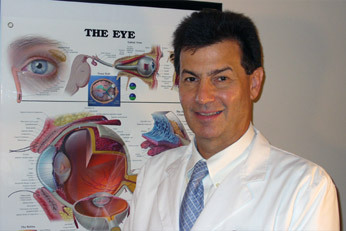 Doctor Fidler earned his Doctor of Optometry degree in 1979 from Michigan College of Optometry at Ferris State University in Big Rapids Michigan. He founded Clare Vision Center where he practiced for four years before relocating in 1982 to 17th Street Causeway in Fort Lauderdale, Florida. With extensive post graduate education and certifications, Doctor Fidler is board certified to treat external eye disease and Glaucoma. He is re-certified biannually by the Florida Board of Optometry which includes required continuing medical education with transcript quality testing. Dr. Fidler serves on the advisory board for Millennium Laser Eye Center and has also served on the TLC Lasik center advisory board. He is a member of numerous National and local Optometric associations.